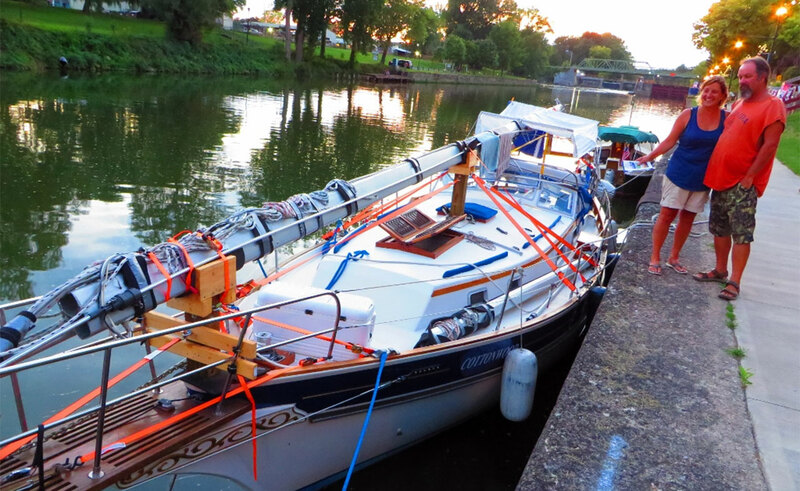 The Cottonwood, a 1987 Gozzard 36 sailboat from Port Dover, Ontario, docked in Lyons on the Erie Canal on Friday evening. Only 83 Gozzards were ever manufactured in Canada. Cottonwood is hull #29.